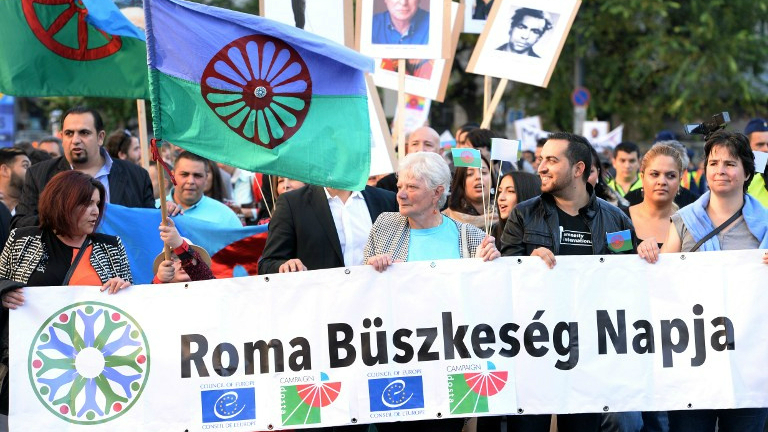 The Roma Civil Monitoring Report went online just as the European Parliament voted to trigger Article 7 proceedings against Hungary for the government’s attacks on the media, minorities, and the rule of law. In the parliamentary debate before the vote, Járóka claimed the Hungarian government had made a great contribution to the EU Roma Framework –“we designed it, we supported it” – dismissed the claims made about Roma exclusion in the Sargentini report and called on MEPs to vote it down. As the world now knows, they did not. Legal awareness of matters concerning equal treatment is especially low among the Roma. According to the FRA survey, while 53% of Roma respondents in Hungary think that discrimination based on ethnic origin is very widespread, only 15% of respondents knew of organisations offering support or advice to victims of discrimination; and only 6% of discrimination cases based on a Roma background were reported or submitted as a complaint to the authorities in 2016. According to the available information, school students are increasingly segregated on the grounds of their socio-economic or ethnic backgrounds, and the report expresses concerns about the role church-maintained schools have played in ethnic segregation. High hopes were invested in the Anti-Segregation Round Table established in 2013, as it involved the key experts from civil society and education. However, many soon resigned, disenchanted by the fact that they were unable to advise on policy, or engage in meaningful dialogue, and refused to be cast in a role that legitimized an unjust status quo. Despite, the assertion in the Basic Law (2011) that “Hungary makes efforts to provide the conditions of dignified housing conditions and access to public utilities to everyone” , the report maintains that there has been no practical improvements in the housing conditions of impoverished Roma for decades. Estimates from Census data suggest that 3% of the total population inhabits 1,384 segregated settlements. Hundreds of such dwellings are situated in remote peripheries lacking basic infrastructure and public transport links. Housing programs and homemaking subsidies are targeted at social groups above the poverty threshold, and those who fall below are increasingly left without social support. Another problem is evictions , which mostly affects the poorest tenants with arrears or unsettled legal title, among whom the Roma are significantly overrepresented. City development strategies do not address the exclusion of the poorest, who are sometimes relocated and displaced as property value rises. To prevent Roma from moving into a development, the Monitor reports that some local authorities buy up available real estate or put pressure on people who intend to sell to a Roma buyer. “two-way awareness raising and communication”, rather than assign any responsibility to the majority or the state institutions. Courts often fail to register the racist motivation in many hate crimes against Roma, and perpetrators receive lesser sentences for vandalism or bodily harm. “Hungarian society is permeated by xenophobia and antigypsyism” according to the report, citing the example of the judge Erika Mucsi, who dismissed a case against far-right paramilitaries and explained in her reasoning that: “The Gypsies, as a category, should not be primarily understood on a racial basis” bur rather as a lifestyle, work-shy and possessed of “a morality that disrespects private property and norms of coexistence.” While procedures were initiated against the judge, she was permitted to stay in office, a move, which the report suggests, serves to reinforce racist views about Roma. The experience of ethnic profiling, random stop-and-search and “over-policing” is commonplace for Roma across all five countries. A number of Hungarian NGOs reported on police practices of fining Roma for petty offences in numerous settlements, mainly in the northeast of the country. One study demonstrated that 97% of people fined for bicycle-related offences were Roma. Residents of Roma settlements were fined so frequently that the amount of fines due was more than their income; researchers spoke to several Roma who served prison time because of their inability to pay the fines. For further information and to access reports on other EU Member States see: https://bit.ly/2MGDTjv.